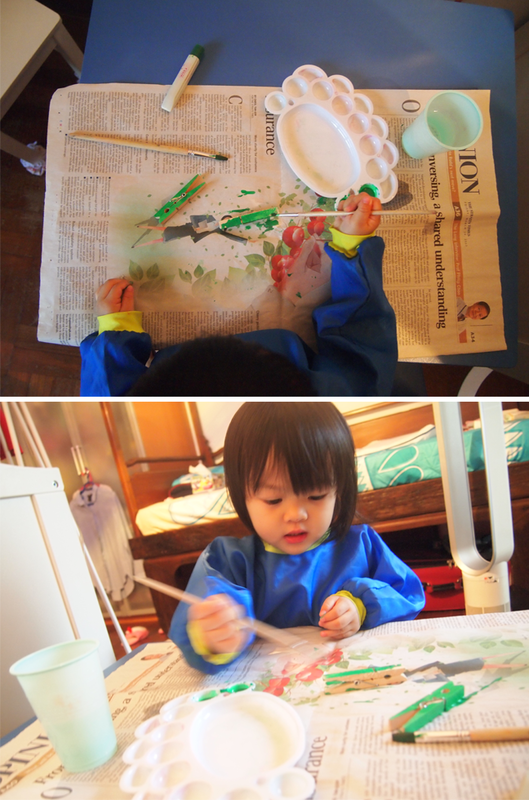 Hello Little Sunshine - Singapore Parenting and Lifestyle Blog: Home Learning - 'A' for Alligator! 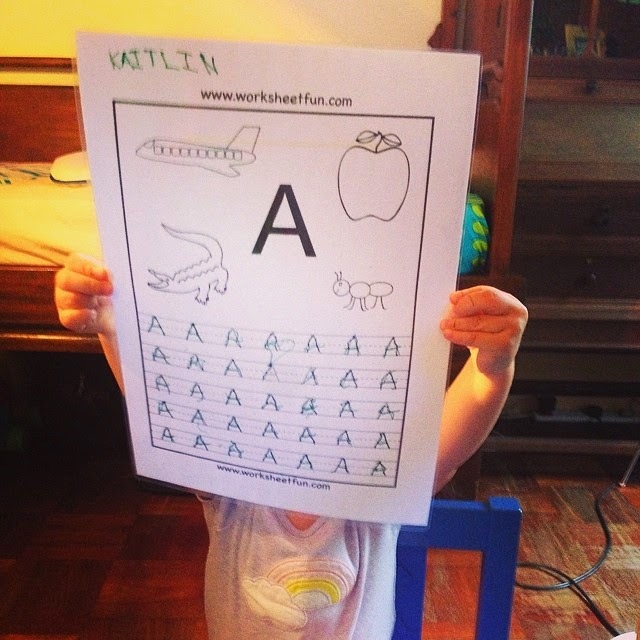 Home Learning - 'A' for Alligator! Kaitlin's school is on the theme of Animals! As such, for our recent home learning activity we learnt about animals that start with 'A'. First, Kaitlin did some tracing of the upper case 'A'. She loves tracing, so I find this a really good way to introduce her to alphabets and for her to practice her penmanship. 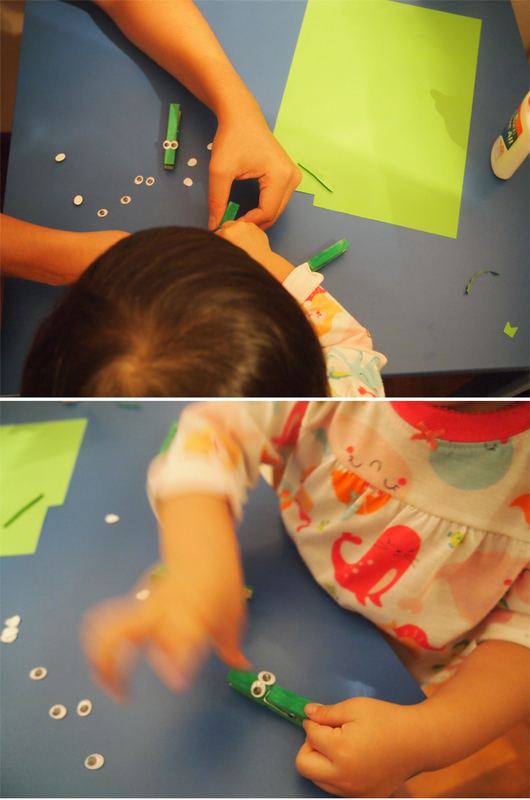 We also did a craft activity and made snapping Alligators! The materials are really easy to find and you can mostly get them at Daiso. 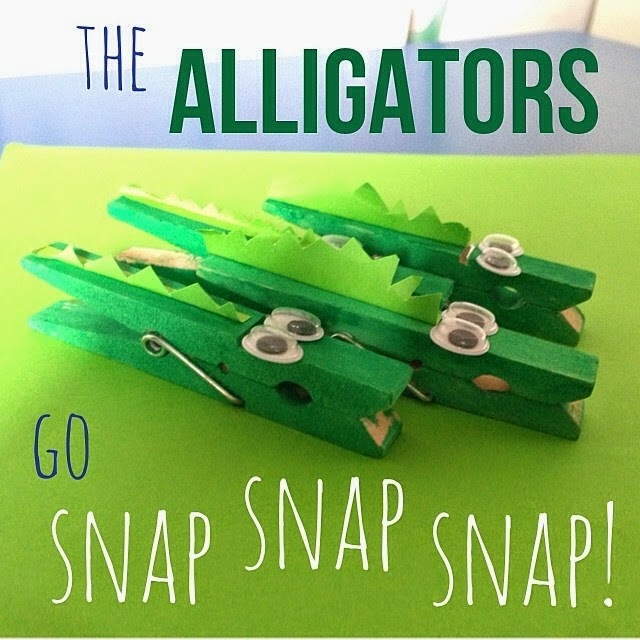 Here are the steps to make your snapping Alligators. 1. 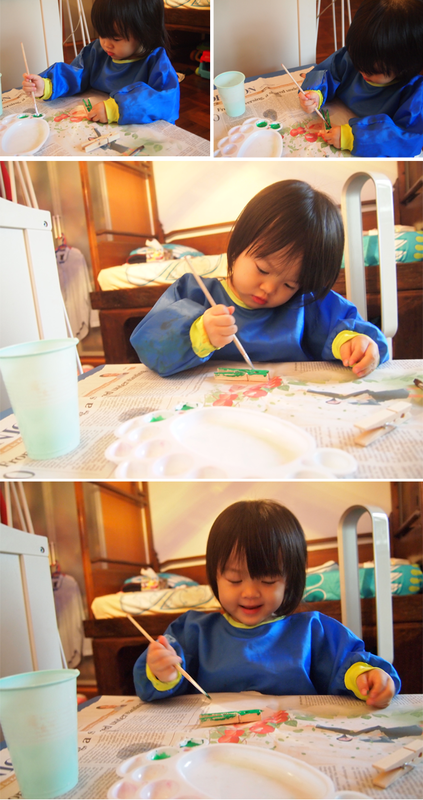 Paint the wooden pegs and let them dry. 2. After they've dried, stick on the plastic eyes using craft or super glue. The plastic eyes we used came with double sided tape at the back so we just had to remove them and stick them onto the wooden pegs. 3. 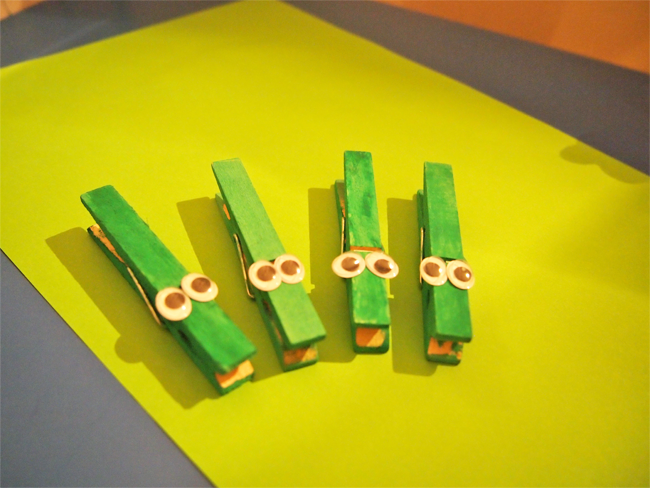 Cut short strips of green coloured paper and stick onto the wooden pegs. That's it! 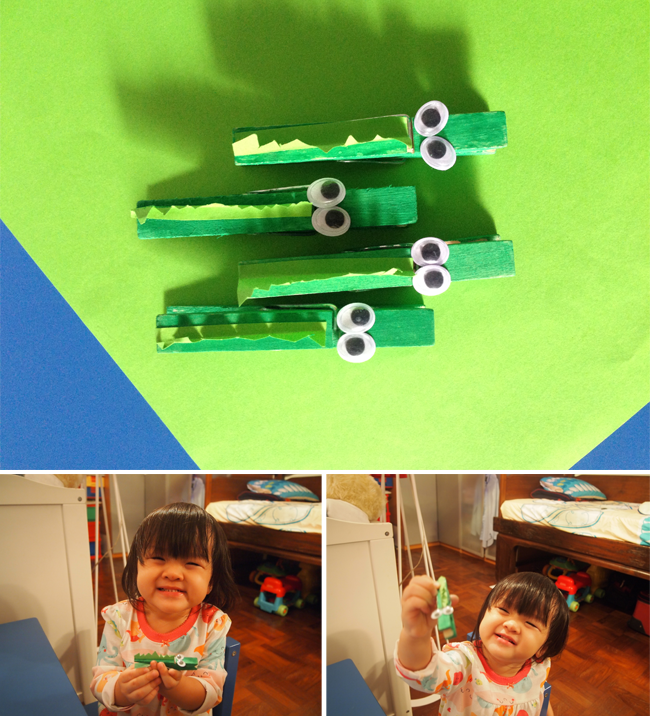 A really simple craft that toddlers can do and I like how the wooden pegs are great for Kaitlin to practise her fine motor skills.